I actually learned about Explore God a year ago. The website had already been built, and much of the basic content was available then as well. At the time, it hadn’t garnered much attention. Clearly things have changed, since last I heard some 350 churches are now on board, and many of them will be dedicating a sermon series to the subject. I know several of the churches partnering with the movement pretty well. There’s going to be weekly events at Gateway Church beginning in September on Monday nights addressing “7 Big Questions” that I will consider below. While not as hostile and reactionary as these two, and while I certainly don’t think ExploreGod is “fundamentalist garbage,” after digging a little deeper, my initial reaction to ExploreGod was one of relative ambivalence. It’s not that I don’t want it to be successful. I hope much good comes from it, and I believe some good definitely will come. So also, I am not “against” ExploreGod. As someone who is very interested in exploring God myself, however, I do feel compelled to name its shortcomings. Despite its design, tech and promotional savviness, the intellectual content of the site fails to engage in serious theological inquiry. And by “serious,” I don’t mean high-level academic theological thinking. I mean honest thinking. I will explain more below. I also tend to be very suspicious of Christian outreach marketing attempts in general, especially if they are backed by a lot of money. One can quickly detect the slickness of this operation. It is clearly a well-resourced project. This doesn’t automatically make it bad, but already I fear it has too much privilege and affluence attached to it. As already mentioned, most of the content on the site is professional and substantive. A broad range of topics are addressed and “explored” — but this is exactly where I start to have more questions. The mission of the organization seems to me to be somewhat confused. The news clip above explains that the program is targeting both “believers” and “non-believers,” and I think this might be part of the problem. I have distaste for the very distinction between “belief” and “non-belief” as a signifier of faith membership in the first place, but nevermind that for the moment. While the mission claims to simply be about “starting a good conversation,” that is not the impression I get after looking at many of the videos and articles. Yes, there is an effort to begin the conversation in this tone, but eventually that obviously changes. Instead, I get the feeling ExploreGod wants to “give us the right answers” and convince us of their truth. There are over-prescribed end-points for the discussion. 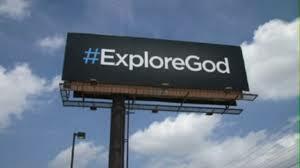 The issue I have with ExploreGod then is this: Theirs is not actually so much an attempt to Explore God. Rather, it’s predominantly an effort directed at justifying a priori (already held) Christian beliefs about God. In other words, it’s a video and blog catalog of evangelical Christian apologetics — that is, a defense of the faith. This is not the same thing as an exploration. When I survey the material on the website, I’m mostly challenged not to explore but to evaluate: Is this persuasive or not? Is there enough evidence? etc. Moreover, the questions are predetermined. This is severely limiting. The entire project is based on the presupposition that it understands what questions people are asking about God, and how they’re asking them. My first accusation is that ExploreGod hasn’t really listened, and therefore does not understand society’s questions about God. Modernity, stemming from the Enlightenment and scientific revolutions of the 18th and 19th centuries, became so pervasive and influenced so many aspects of social and individual life that it changed reality as we (at least in the so-called West) perceive it. Most people are unaware of that. It’s like a fish is unaware of water. Even committed Christians are largely unaware of how modernity shapes their understanding of the Bible and Christianity. 1. At the root of everything modern, it seems to me, is Immanuel Kant’s imperative “Sapere aude!”—“think for yourself!” In other words, the mature individual ought to believe only what is convincing to his or her own mind and not allow external authorities to determine what to believe just because they hold positions of authority. 2. [T]he modern blik includes belief that “knowledge” is “justified true belief” and that “justified true” means rationally certain beyond reasonable doubt. I’ve watched all the videos related to each of these questions, and some of them are great; so are some of the discussion questions that go along with them. In addition, I should say that I do not think these seven questions are unimportant. What I suspect though is that they are not the questions most God explorers in Austin or in any other culturally progressive city in North America are asking today. These kind of questions remind me a lot of the flavor of Christianity that went up against the American Atheist Society Convention in Austin this past spring. Most fundamentally, it’s ahistorical, unsocially conscious “answer-Christianity” — addicted to what Peter Rollins identifies as certainty and satisfaction. Basically, ExploreGod says 1) see the arguments (which we are sure are convincing) and 2) decide for yourself. If as an outsider I were going to ask seven questions about the Christian faith, they might be somewhat different from these (see, for example, this talk.) For the purposes of this post, however, I’ll stick with the given questions — because the biggest problem is not the questions themselves (about God, Jesus, suffering, Bible, etc. — these topics definitely matter), but, to repeat, the way the questions are posed. These questions are asked in such a way that presumes they can be answered. They are loaded for bait-and-switch. While it might sound surprising given that I am a Christian, I actually do not think a single one of these questions can be satisfactorily “answered.” ExploreGod’s attempts to answer them employ forced logic more so than intensely honest scrutiny (e.g., too many appeals to the authority of apologists like C.S. Lewis, who, great as he was, has decreasing relevance and ability to speak to our context today). To further explain my disappointment with these seven questions, I’ll take the example of “Is Christianity too narrow?”, which I find to be the most awkward of them all. An ExploreGod video that speaks to this topic can be found here. Symbol of the major religions of the world: Judaism, Christianity, Taoism, Hinduism, Buddhism and Islam. (Photo credit: Wikipedia)In its defense, the ExploreGod website goes out of its way you might say to give pretty thorough and yet concise summaries of the core tenants of other major world religions and even some of their key distintives. There is an entry about the Koran, for instance. The problem is that once the differences are rightly acknowledged, literally all the world religions are then judged on the basis of a Christian (mis)interpretation of their purposes. So, even though Buddhists, for example — and we could include many other world religions except for probably Islam — are not consciously trying to escape the judgment of a wrathful God for their sins or longing for a Savior due to their guilt, we forget this little detail and accuse them of trying to “earn salvation by their own effort.” Of course, Buddhists would probably agree with many aspects of the Christian understanding of sin. Sin is plainly evident, depending on we define it (ignorance or blame). The difference comes with the Buddhist belief about the supposed consequences and remedy for that sin, which has nothing to do, for them, with merit. But what ExploreGod does is basically to equate all other world religions with “salvation by works,” or, 16th Century Roman Catholicism. In doing so, ExploreGod betrays its captivity to a Reformation-based understanding of salvation and Christianity — an understanding that I’ve called into question on this blog before. There is a genuine attempt by ExploreGod to fairly explain major differences between the world religions, and I gladly admit that they more or less successfully do this. But it’s as if they completely ignore what their very own descriptions show by proceeding with a sweeping Christian (mis)interpretation of the significance of these same differences. The real difference between ExploreGod’s version of Christianity and Buddhism is not that Christians believe in salvation by grace while Buddhists belief in salvation by meditation. It is instead that ExploreGod-Christianity believes we need to be saved from God’s judgement for our sin, while Buddhists believe they need to be free from desire that causes suffering. These are two completely different notions of, not how to be saved, but salvation itself. Thus, contrary to popular Protestant evangelical opinion, the essential difference between Christianity and most other religions is not between “works” and “grace” as ExploreGod would have it. It’s a lot like the video that went viral a while back about Jesus vs. Religion. Evangelical Christians like to think Jesus and religion are antithetical to each other — I think they are in some ways — but the religion that says “salvation by grace” is still a religion. It’s a religion that pits right belief against right living. What is, however, a more significant difference between Christianity and other religions, is the doctrine of the Incarnation and Jesus’s divinity, which ExploreGod also points out. The only weakness is with what they say this doctrine means. Basically, its meaning gets reduced back to the false dichotomy of works and grace above. I’ve written about this as well, but the main idea is that Christianity is not primarily characterized by access to salvation from hell and redirection into heaven after we die. Nor is it simply that plus living like Jesus until then out of gratitude. Rather, it’s about a God who comes to us as a human being exemplifying and enabling a transformed life and world (the Kingdom of God). This isn’t proclaimed in the other world religions — at least not in the same way if at all. Forgiveness of sin is part of the story, but so is liberation, new identity, ethics and community. This vision is not nearly as incompatible with Buddhism, even if there are still some incommensurable differences. Rather, I would say it believes and promises much more than Buddhism. Christianity hopes in God for historical and political redemption in addition to personal, and not just freedom from the slavery of desire that causes suffering as in Buddhism — though I would argue this freedom can be part of the Christian story as well. Believing that only Christians can be saved renders most people condemned, and this produces an intense amount of evangelism anxiety. I do not think this is what Jesus intended for us. Furthermore, this anxiety is only compounded by a contemporary situation in which the institutional Christian church continues to lose its hold on and place of privilege in the dominant American culture. I think there are basically two ways out of evangelism anxiety. First, you could become a Calvinist (i.e., God has predetermined everything, so there’s no need to worry anymore). And actually I don’t think this one ultimately gets rid of anxiety — it’s just a good suppressant. Alternatively, however, and more intriguingly, we can move beyond belief-centered Christianity. (Just notice I said move beyond, not throw away.) So there’s nothing wrong with evangelism, but evangelism means making disciples and inviting people into the risky, beautiful and adventurous obedience of a Christian life. ExploreGod is not focused on making disciples. If it were, I think we would see a lot more questions about social justice, ecological sustainability and spiritual formation instead of a premeditated set of reasons for belief. 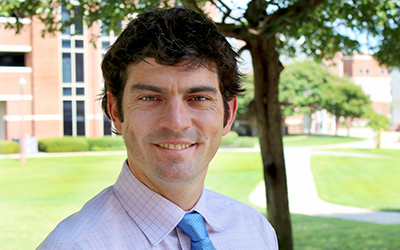 (To be fair, I did find at least one good ExploreGod article on what it means to follow Jesus here, which incidentally happens to have been written by a Truett Seminary professor as well). ‘[T]he life of the church is its witness. The witness of the church is its life. The question of authentic witness is the question of authentic community’ (Norman Kraus). This ideal church goes beyond belief by recognizing that what people believe about God exactly is not what matters most — which is not to say it doesn’t matter. Reading the signs of our postmodern, post-Christian times — a time after too many genocides and suicide bombings in the name of certainty of belief — what matters more is whether we create communities of acceptance love that are honest about brokenness and that cultivate good living, where in the process we might come to believe. The approach of ExploreGod is unfortunately the exact opposite: get people to consider belief, and then maybe they’ll come to belong/behave. The nature of those seven questions above assumes that if people are convinced of the truth, they will become Christians. In contrast, I’m convinced that today and in our context we should start by inviting people to be compelled by a Christian way of life, to step into it, try it on, and then, perhaps, to “believe” in it. The church of tomorrow is not likely to grow by way of billboards or big promotional programs, I contend — though this is not to assert that all things like this are intrinsically bad. Rather, the church in 21st century must embrace a new minority status of post-Christendom humility and grassroots economic integrity. In order to do this, churches will also need to explore God more so through aesthetics, story and drama. This would still be a very relational and personal, conversational faith as ExploreGod would have it. But the answers will be lived and seen more so than discussed and defended. I wonder how these 350 churches could have used this same money to make a public statement in Austin about a Christian way of life more so than to proclaim the truth of Christian belief?